I wrote last week about waiting. My life lately has been a process of waiting. This is especially true, you know, because my husband has been looking for work. Lately, things are happening for him – he has 3 interviews coming up this week – but it’s still a process of waiting. We know that despite the interviews, we won’t know if he has a job for a while yet. Two of the interviews are first interviews, and one is a third interview out of town. That last one is an amazing opportunity, but would involve us moving 300 miles away, selling our house, and starting anew. I’m not opposed to the change, in fact I find the idea exciting, but the reality of getting the house repairs done, stuff cleared out, putting the house on the market, and all of the details involved are rather overwhelming. All of the constant stream of “what will we do if” and “when will we know?” circling around my thoughts gets tiring and, I realize, isn’t productive. I’m a planner by nature. I like to be as prepared as possible, thinking that if I can figure out what I’ll do in any given situation that could arise that I’ll feel more confident and ready. It’s intellectually satisfying in the moment, but I also know that no one can really predict the details and be prepared for each one. So the constant churning of thoughts, scenarios, arrangements, and ideas is actually just burning energy. 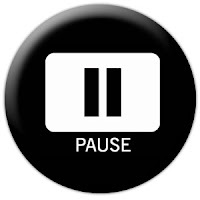 I need to pause. I need to breathe. I need to visualize the outcome I would like and just sit quietly with that in mind, sending energy to it. I admit that I have not been able to stop myself long enough to do this. But I will. I really will, because I know that is the way to help all of this. It’s the way to help myself stop cycling through the constant barrage of “what if’s” and help manifest the best possible outcome. A good friend and inspiring person, Lissa Rankin, leader and founder of one of my favorite websites, owningpink.com, said in one of her posts just to ask the Universe to send you inner peace, then surrender to the outcome, knowing that all will be arranged with the best outcome for you, whatever it may be. Sometimes it may be surprising, unexpected, or feel like it’s taking your life in a new direction. But trusting that all is working out as it should is a sure way of quieting that nagging constant stream of thoughts trying to prepare for every outcome. That kind of surrender to a blank slate outcome involves an extra step of inner quiet, and requires having presence in the moment – something else I’m trying to become more consciously connected to. Thank you, Lissa! So today’s post is a reminder to myself, and a reminder to any of you lovely readers who might need it along with me – let’s pause. Breathe. Ask for the outcome that will bring inner peace. Things will all line up and work out for the best.